This lunchtime we were treated to a concert by the University Big Band, lead by the Wonderful Steve Waterman. The concert consisted of five numbers, chosen to show off the brilliant playing and improvisational skills of the performers. Each of the performances were seamless, with Waterman’s careful but precise conducting. He would always stand to the side during a solo so that the audience could appreciate it better, but then bring all of the band’s attention back to the piece with the slightest of gestures. Coupling this with the laid back style of music made the atmosphere much more relaxed and enjoyable. (I think you can tell which was my favourite piece). The solos by the performers were spectacular, made even more so by the fact that they were improvised. A beautiful moment passed during one solo in which Jason (guitar) gave an appreciative smile towards Ben ( piano) during the latter’s solo in one of the numbers. It is such moments as this that make you realised not only are these students incredibly talented, but they respect and build up each other’s talent and strength in doing so. 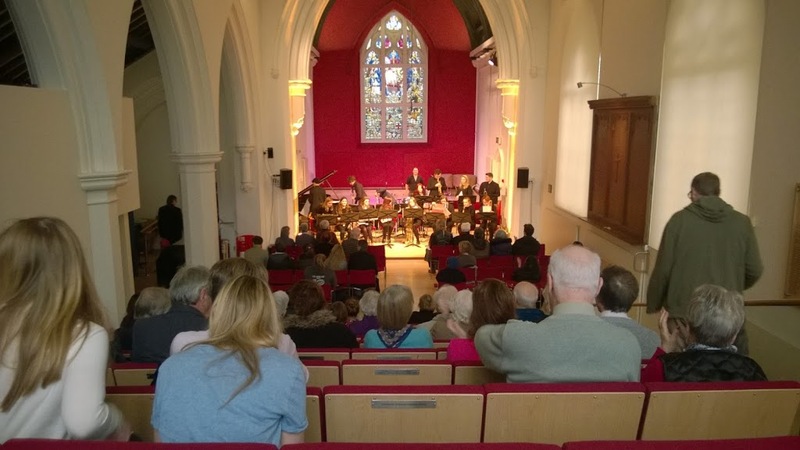 the only thing i could say was that the stunning piano solos by Ben and the guitar solos by Jason whilst reminiscent of the Modern Jazz Quartet were sometimes not loud enough to be fully heard and therefore appreciated more. Thankfully, the brilliant trumpet players Matt, Ayla and Adam, as well as drummer Chris had no such problems. 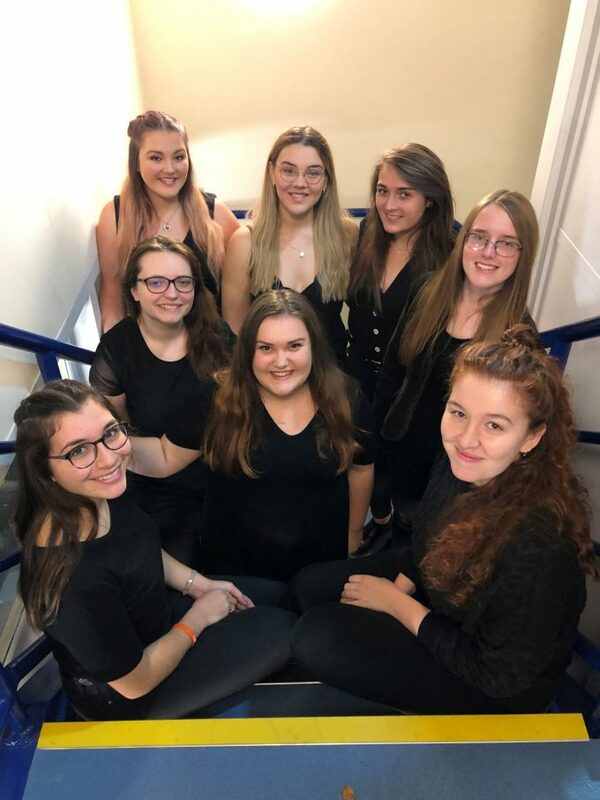 A special mention must be made to Anne Louise Jones, William Marsh and Evie Lawrence who stepped into the band at the last minute to cover performers who were unfortunately unwell. ( Evie stepped in less than an hour before the concert!) If it had not been mentioned at the start i genuinely believe that you would not have realised that they were there from day 0 given the way that the band worked perfectly through the pieces.